Apron from Dai kow General's Costume. Apron is pale green with steel blue, pink, purple, green and gold floral sequin pattern. Pattern is accented with glass tube beads, in same colours.Attached to bottom of Apron are lace tassels. 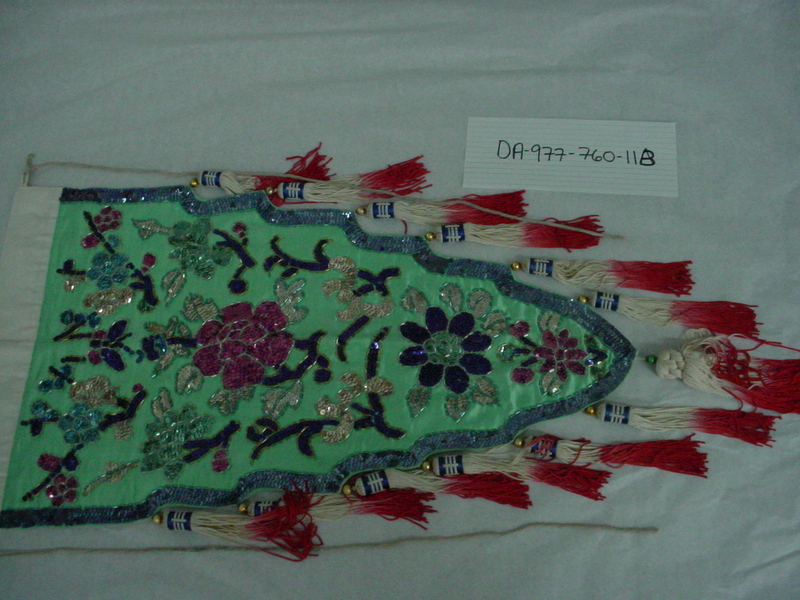 Tassels are silk with blue and red pattern around gold painted plastic beads. Apron is lined with white silk and is fastened with ties at the waistband.